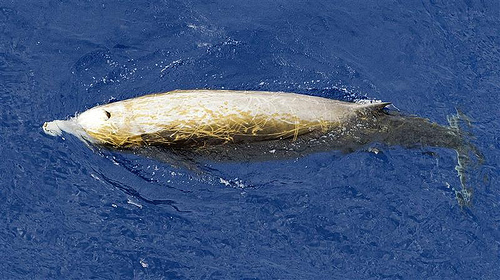 Arnoux’s Beaked Whales are a rare cetacean species. 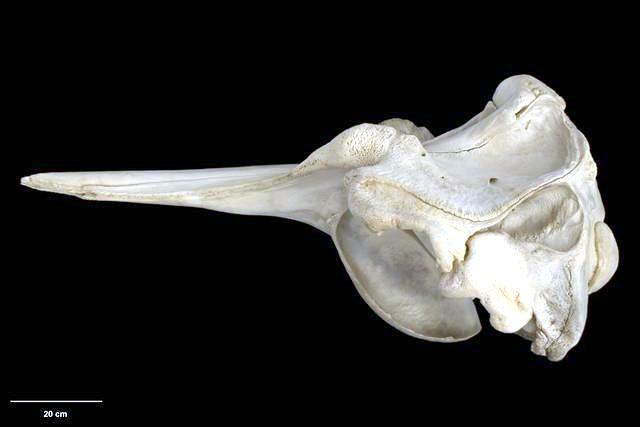 Arnoux’s Beaked Whale’s name honors Dr. Maurice Arnoux, a ship’s surgeon who found the skull of the type specimen on a beach near Akaroa on New Zealand’s South Island. 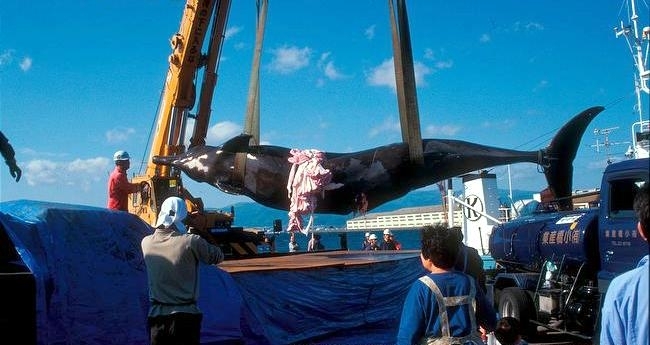 The whale was first described by Georges Louis Duvernoy in 1851. 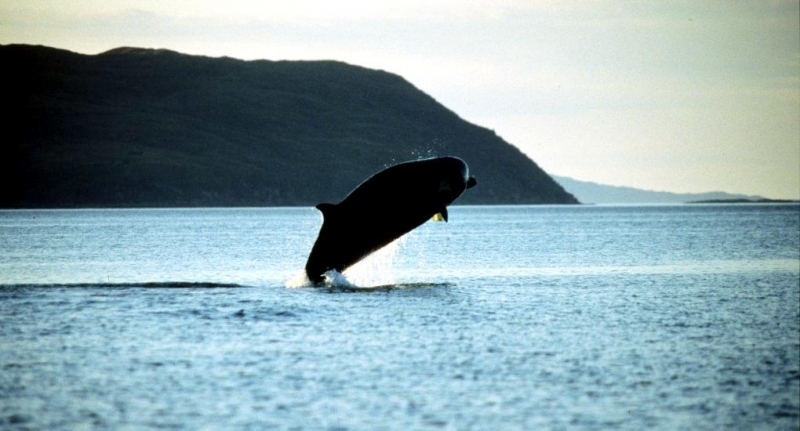 These whales reach up to 9.75 meters in length and the females are thought to be slightly larger than the males. 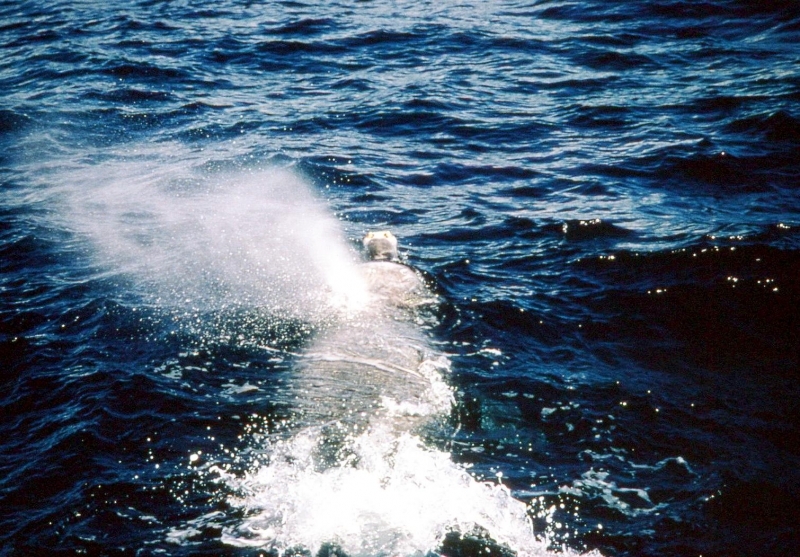 Arnoux’s Beaked Whales resemble Baird’s Beaked Whales but Arnoux’s is slightly smaller. They are predominantly dark brown in color with paler coloring on their head and ventral sides (undersides), which also have white patches. 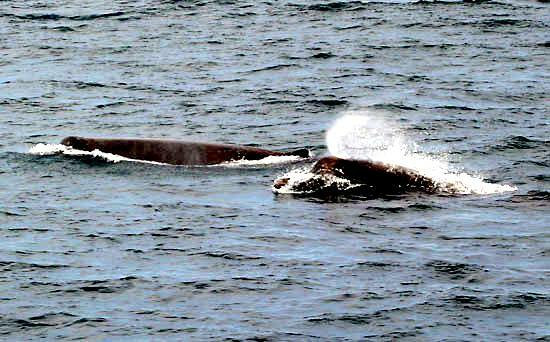 Like other whale species, males show extensive scarring, particularly around their dorsal fins. 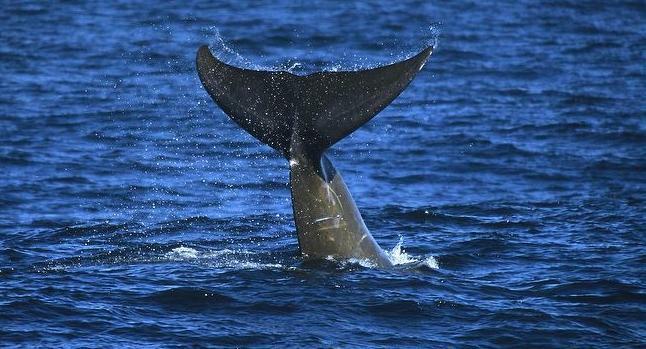 They are often called Southern four-toothed Whales because of their 4 teeth found in their lower jaws that are visible even when their mouth is closed. Their head is relatively small and their beak is slender. 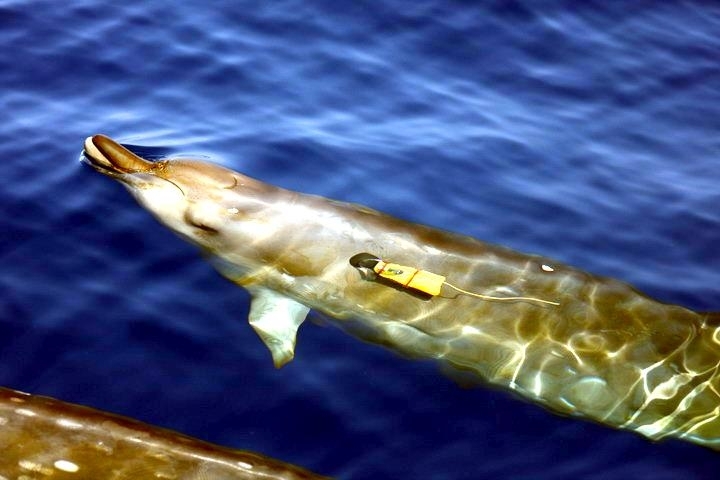 Arnoux’s Beaked Whales are a gregarious species generally found in pods of 6-10, but larger pods of 80 individuals have been recorded. 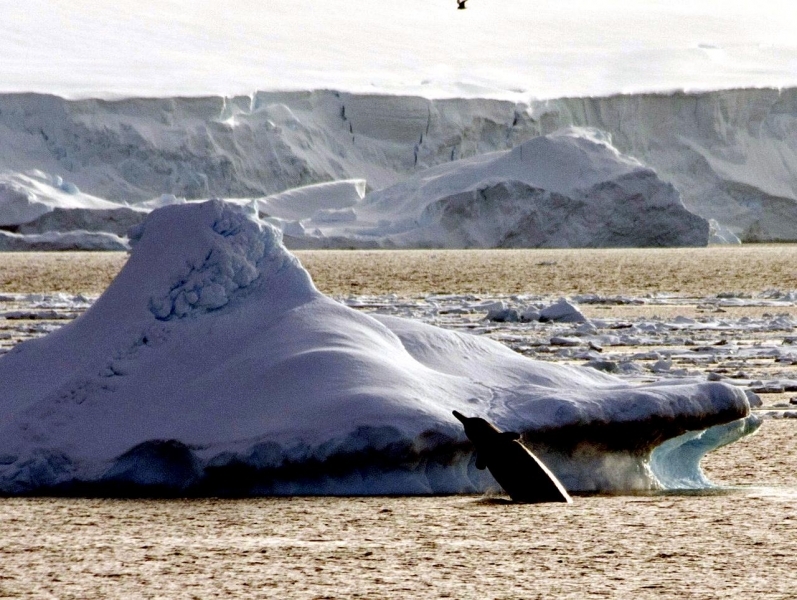 Pods of these whales have been observed swimming under sea ice up to 7 kilometers deep between breaths, a remarkable distance for any cetacean. During breathing intervals near the surface, these whales have been observed changing direction before diving between 249-366 meters for long periods of time, up to an hour in extremely cold water. The surface temperature of the water in the area studied in this case was -08 °C. 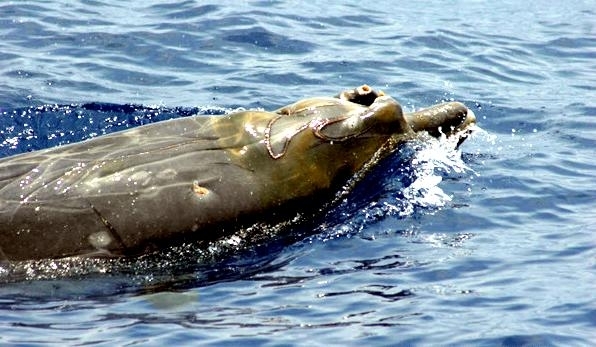 In spite of these amazing swimming skills, Arnoux’s Beaked Whales have been known to become trapped under ice. 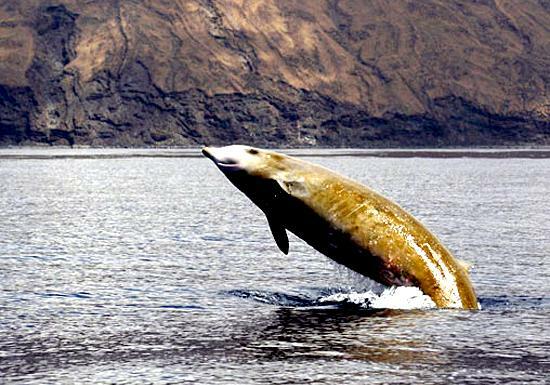 Arnoux’s Beaked Whales are found throughout the southern hemisphere from the Antarctic continent and ice edge north, to about 34°S. 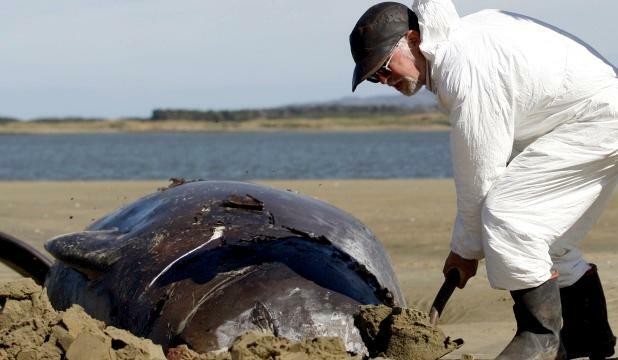 They are found in the southern Pacific including southeastern Australia 29°S and northern New Zealand 37°S and in the southern Atlantic to São Paulo 24°S and the Indian Ocean. They are widely distributed; however they are not common within their range. 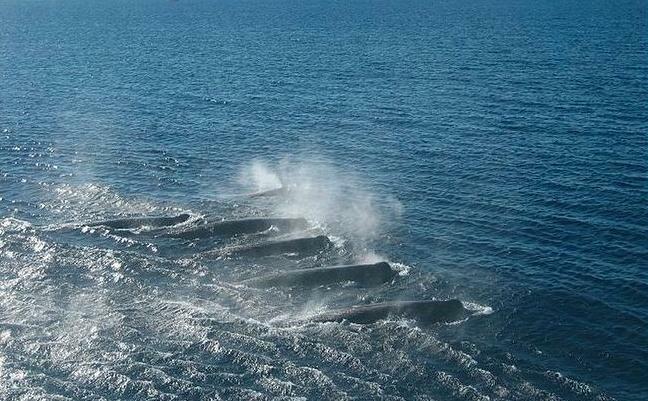 Most reported sightings have been in the Tasman Sea and around the Albatross Cordillera in the South Pacific. 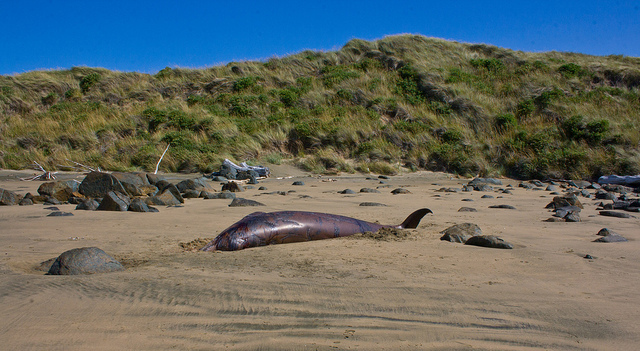 Standing’s have predominantly been found around New Zealand. 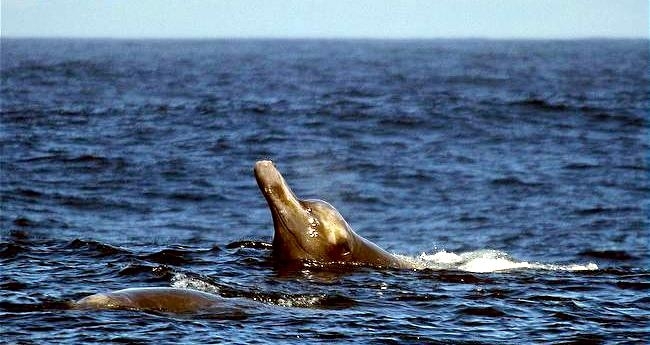 Arnoux’s Beaked Whales are known to enter pack-ice and are thought to live close to the ice edge in summer and farther out in open water during winter. 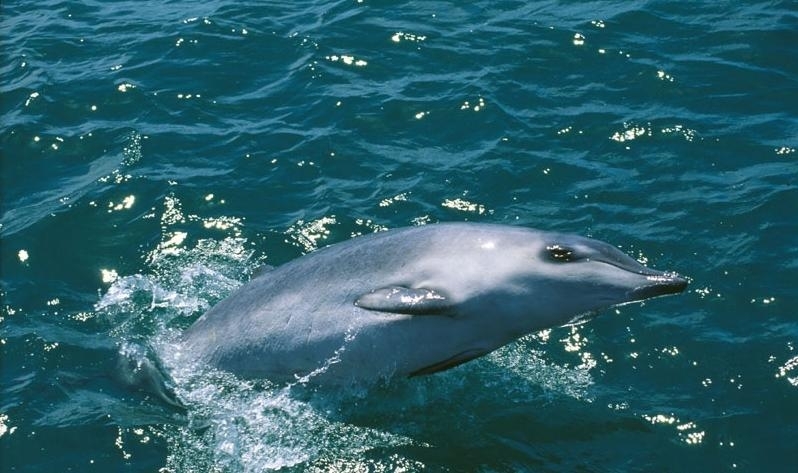 There have been many sightings of Arnoux’s Beaked Whales in the Cook Strait during summer and sightings of large pods were reported along the western Antarctic coast during spring. 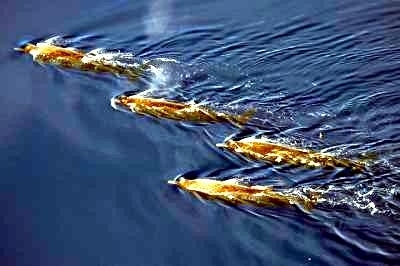 The Arnoux’s Beaked Whale has been found in both shallow, coastal waters as well as near continental slopes & sea mounts. 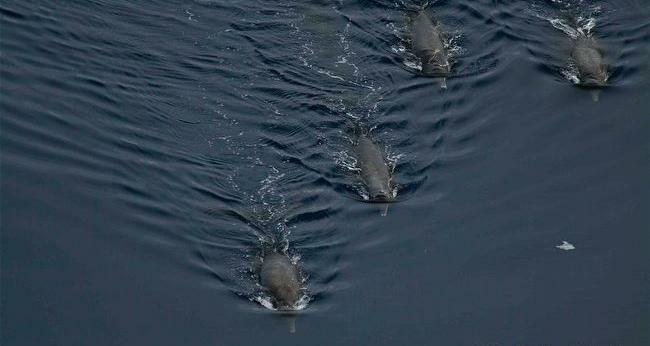 Arnoux’s Beaked Whales likely feed on benthic (bottom-dwelling) and pelagic (open water) fishes and cephalopods. 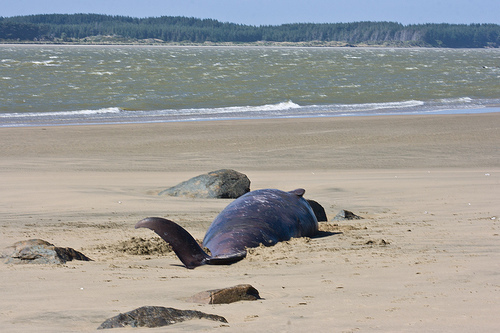 Arnoux’s Beaked Whales are thought to share similar reproductive habits with as Baird’s Beaked Whales.